The Lennon Brothers & Gail Lennon will be reuniting for two special shows this weekend, Saturday November 24th at 8pm, and Sunday November 25th at 2pm at the Historic Owen Theatre in Downtown Branson. 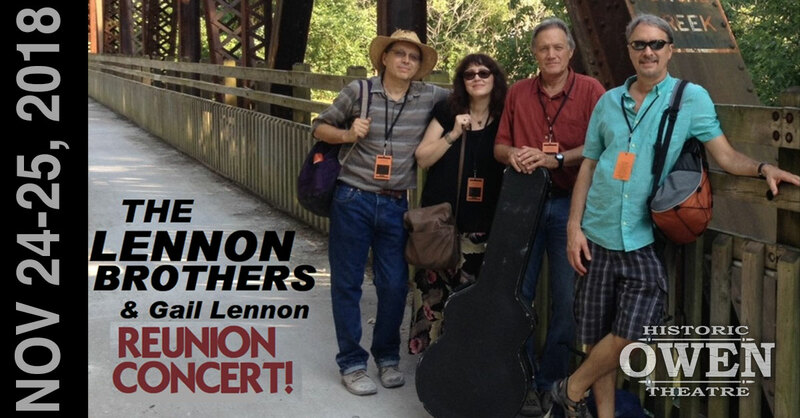 The shows will feature the All-Star Lennon Brothers Band. 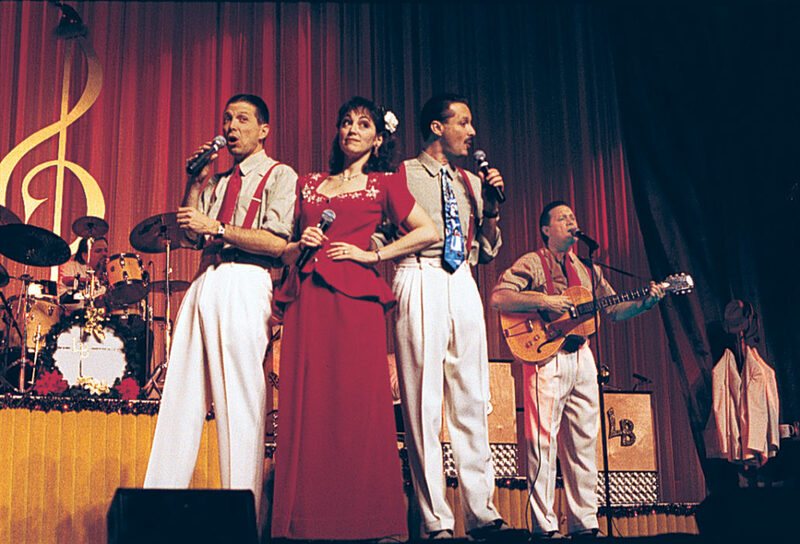 The group first came to Branson in 1994 as the morning show at The Welk Resort. At the end of the year, they were voted Best Breakfast Show and Gail was named Best Female Vocalist at the Branson Entertainment Awards. Part of the talented Lennon Family that includes The Lennon Sisters, the brothers… Dan, Bill, and Joe, and Bill’s wife Gail… are excited to be taking the stage again. They’ve gathered some of Branson’s finest musicians, led by Michael Cathcart on the keyboard. Advance tickets are recommended at BransonArts.org/lennon or by calling the Historic Owen Theatre (417) 336-4255. A portion of the proceeds will benefit the Branson Regional Arts Council.